This month's readers will be Thea Brown, Brooke Ellsworth, Dora Malech, & Meg Ronan. Jason Widen is COO of Forward Impact whose mission is to unleash the impact potential of next generation entrepreneurial leaders. This work includes supporting community-based strategies to develop and scale high-impact entrepreneurs including HQ Raleigh, ThinkHouse, and Leadership exCHANGE. Street Parking is available on the surrounding streets next to the CAM Raleigh, see you there! 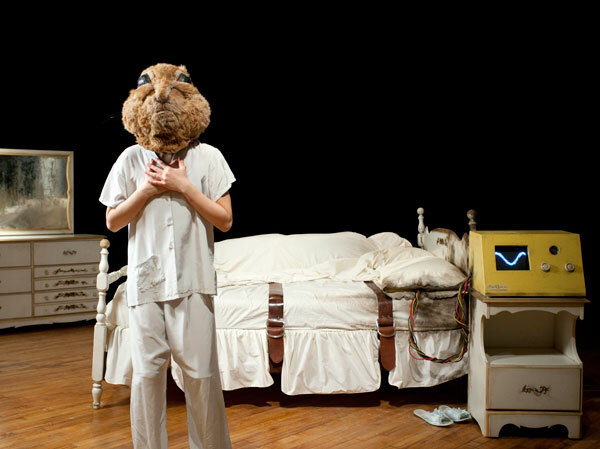 Do not miss Dancing with the Doctor (2010), a live performance and continuation of Sarah Anne Johnson's project House on Fire. The work is choreographed by Sarah Anne Johnson and features contemporary dancers Ming Hon, Holly Treddenick and Tanja Woloshen. The dancers perform a part of Sarah's own genealogy, interpreting her grandmother's experiences in a Montreal hospital in the 1950s. The forty minute highly personal performance is followed by an artist's talk with Sarah Anne Johnson and the dancers. The performance contains mature subject matter.